30346 - Round, white cards with grey filigree background and table numbers in black. 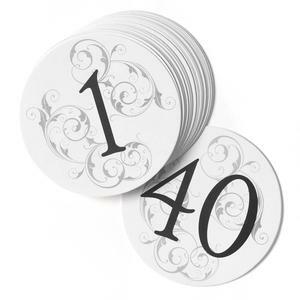 Filigree design and numbers 1-40 printed on both sides. 4 1/2" in diameter.